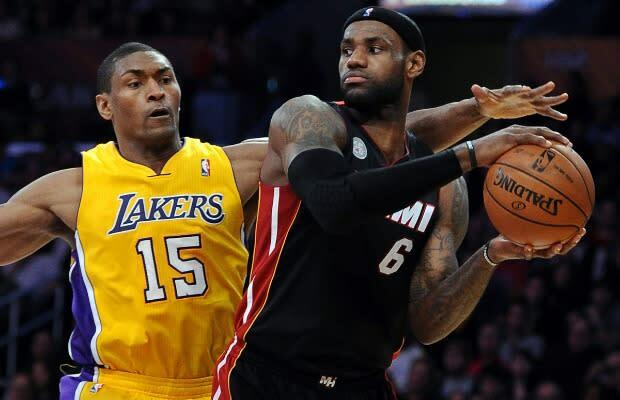 Metta World Peace did an interview with ESPN Los Angeles recently and took a number of shots at both LeBron James and the Miami Heat during it. While discussing the 2013 NBA Finals, he revealed that he thinks LeBron & Co. are being a little bit too passive in their series against the Spurs. "LeBron and [Chris] Bosh, they want it to be given to them," he said. "I don&apos;t think they&apos;re taking it upon themselves like a [Michael] Jordan would have done." He also revealed that he doesn&apos;t feel like the Heat are playing up to their potential. "They do have the best team," he said, "but if they don&apos;t play like the best team, they&apos;re going to lose." And he even called Kobe Bryant and Kevin Durant the two best players in the NBA and took LeBron out of that equation completely. "I only count to two," he said. But towards the end of the interview, he inexplicably said that he doesn&apos;t have anything against LeBron. He said that he&apos;s a fan of his and revealed that he feels a connection to him because of—wait for it—the relationship that his brother had with Bron-Bron&apos;s estranged father. "As a fan, sometimes to see LeBron not take over, I&apos;m kind of like, &apos;Come on, let&apos;s do it,&apos;" he said. "His pops went to jail with my older brother. My brother spent 10 years in jail, they were locked up together. 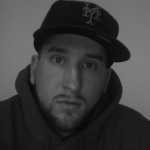 I&apos;m a fan of LeBron, so I always want to see him do well and sometimes I&apos;m like, &apos;Step it up! Start playing.&apos;"
Uhhhhhhh…wait, WHAT?! We get the part about being a fan and wanting to see LeBron play better and all that. But what the hell was the bit about MWP&apos;s brother being locked up with LeBron&apos;s dad? What does that have to do with anything? We don&apos;t know. But we hope MWP elaborates soon.